Shopping ecosystems and platforms like Amazon, Apple and Google inspire shoppers with new sophisticated technology to help them during selection. These tech companies have taken home shopping to the next level with their immensely popular smart home speaker devices and their interactive voice-response systems. In the United States, the United Kingdom and Germany it’s already possible to use the Echo speaker for adding items to your online Amazon shopping list. Routine purchases can be bought using the simple voice command or pressing a button, and paid for instantly. Smart home ordering devices are entering the homes and kitchens of households around the world. Take the Wi-Fi-connected Amazon Dash, a one-touch button that instantly orders an item online. These Dash Buttons are just big enough to show the manufacturing brand. Just stick them near to the items you use, and push the button to add it to your Amazon Fresh shopping list (Place it, Press it, Get it). The Dash Replenishment Service even has machines ordering items on their own accord by making a note that goods have run out and simply placing the order. Over 250 brands have signed up, including Kraft, Illy, Schwarzkopf, Coca Cola, Red Bull, Whiskas and Persil. Prime members can also create their own buttons for free on the website and in the app. These new opportunities offered by Amazon — and other retail platforms — are extremely convenient. Of course, we could ask ourselves whether the tech giant might be getting a bit too powerful. Are consumers letting a sort of Trojan horse into their homes by allowing the full tech wizardry of Amazon into their homes? After all, why on earth would you still shop anywhere else than on Amazon? Traditional retailers are slowly but steadily implementing new technologies in the selection process. On a field trip across China in 2015, we visited a Metro pilot store in Shanghai. Loyal customers are given a discount on selected products through the use of instore beacons and a WeChat app. The latest app at the American retailer Target also uses beacons and a personalized instore homepage. The app could suggest routes through the store and help you find the items you want. Customers see unique coupons or offers on products as they walk past them along the aisles. These news alerts are matched to social media topics: you might receive an offer for dresses that are trending on Pinterest as you walk through womenswear. Onlife consumers of the future will have plenty of digital aids to help them make choices in a simpler, more pleasant and — above all — more convenient fashion. Who will give me the very best service, most convenience and perfect bargain? Which retailer deserves my confidence? Retailers already have a lot of the technology at their fingertips to improve the selection process. Next step: the new paradigm of choice. The power in this new paradigm of choice belongs to the onlife consumer. He gets to decide who is allowed to help him and how much help he wants as he reaches his decision. Providers of goods and services will need to stop limiting the choices for people (paradox of choice) and rather present the consumer with the theoretically infinite range of options (paradise of choice) in a way that’s smart, organized, personal and relevant. This is blog 36, based on my book ‘The end of online shopping. 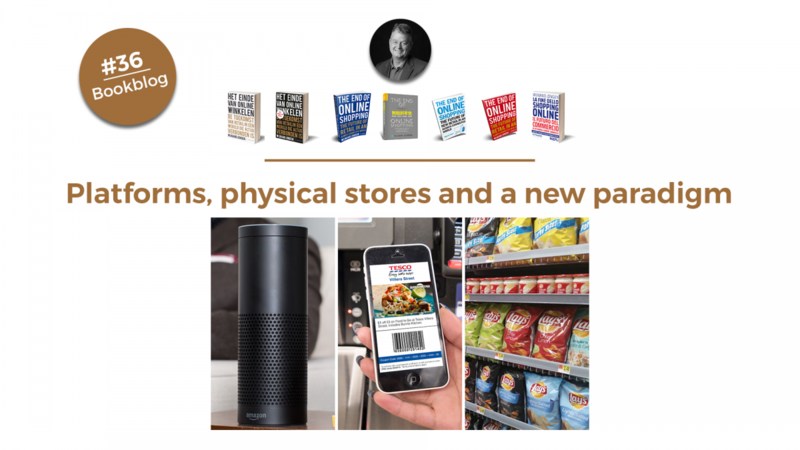 The future of retail in an always connected world’, published by Business Contact (Dutch/Flemish editions), Nubiz (English edition for UK and US, and Danish editions), WSCP Singapore (English edition for SE Asia), Post & Telecom Publishers Beijing (Chinese edition), Hoepli (Italian edition). The book will be published in Korean in December 2018 and is being translated in German, to be published in spring 2019. Additional translations are in preparation for 2019.